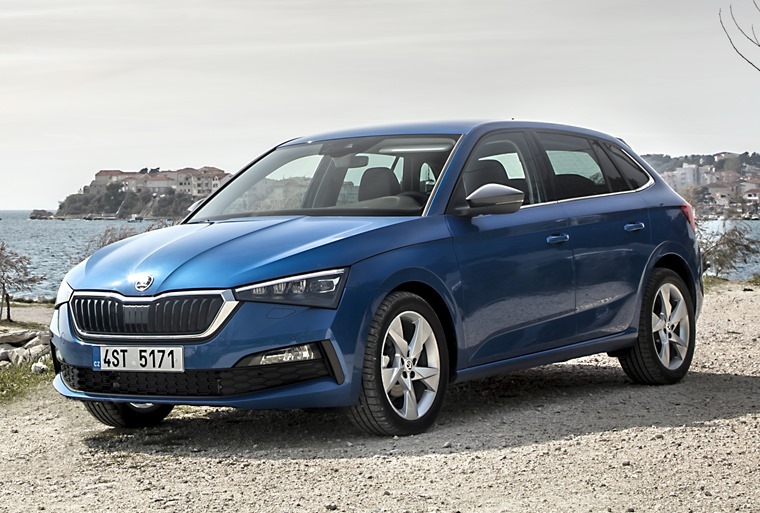 The Skoda Scala does a lot of things measurably better than its rivals, which explains why Skoda has so much confidence in its new model. One to look out for. The ongoing trend for SUVs doesn’t seem to be abating at all, but the humble hatchback still sells in big numbers. It’s no coincidence that the world knows all about the Golf, the Focus and the Astra, but couldn’t necessarily recall the Tiguan, Kuga or Crossland X. There may not be many who could recall the Rapid either. 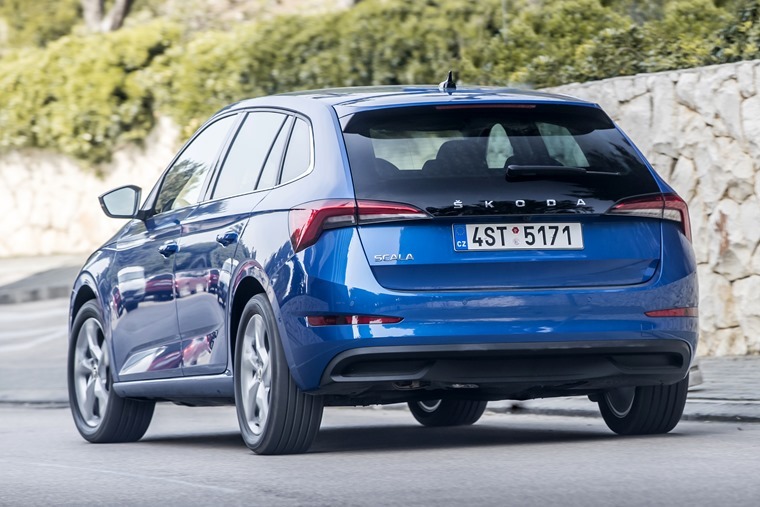 This was Skoda’s most recent attempt at cracking the compact family hatchback segment, but it fell short of UK buyers expectations. The Czech firm is going big with its latest model, the Scala, and is hoping to get a fair chunk of the market. It’s starting smartly by borrowing a fair bit of design language from Audi, which is no bad thing. The car features a bold, chrome-framed grille that’s flanked by aggressively angled LED headlights. A long wheelbase adds visual scale, while the rear of the car has a window that flows down over the bodywork to create a smooth finish. Skoda has moved the small Skoda badge to this area, high and centre, spelling it out in chrome, block capital letters. It’s a mark of confidence in the car. All models feature some of Skoda’s trademark ‘Simply Clever’ items too, those things that make a big difference to owners. On the face of it, that confidence is justified. It looks sharp on the outside and that continues once inside. It’s not quite got Volvo levels of minimalist design, but the front cabin is neat and tidy, ergonomically sound, and just interesting enough to avoid being boring. On this SE L model there’s a 9.2in infotainment touchscreen mounted high on the centre console, almost perfectly in line with the all-digital instruments borrowed from Audi. It looks great, allowing for plenty of customisation, but lower models lose out on both. That said, traditional dials and an 8in screen on the mid-spec SE model will be enough for most people, and it comes with the added benefit of a physical volume knob on the DAB digital radio. It’s everything you want from a car to transport the family and nothing that you want from a racing car. Plenty of other equipment is fitted, with the SEL getting climate control, keyless entry and start, navigation, and privacy glass among other items. Even the entry level S includes two USB-C ports, hill hold, a chilled glovebox and leather wrapped steering wheel, gear knob and handbrake lever. All models feature some of Skoda’s trademark ‘Simply Clever’ items too, those things that make a big difference to owners but most manufacturers seem to forget about. In the Scala that means curry hooks in the boot and netting under the parcel shelf, a cap for the washer bottle that doubles as a funnel, an ice-scraper in the fuel flap that also has a gauge to measure tyre tread depth and, of course, a ticket holder behind the windscreen built into the A-pillar. Higher spec models even come with an umbrella built into the passenger door, just like a Rolls-Royce Phantom. There’s been some skimping on costs though, especially where material quality is concerned. Anything below elbow level is covered in rather brittle feeling plastic, but most of the touch points are pleasant enough. Perceived quality won’t be troubling Audi at all, and probably won’t keep Kia awake at night. There’s torsion beam suspension under the rear of the car, which is cheaper than fully independent suspension. This impacts handling negatively, but then the Scala’s never going to be the car to set Nurburgring lap records. Instead it’s a perfectly capable, competent and safe steer, which is to say it’s everything you want from a car to transport the family and nothing that you want from a racing car. It may not be as sharp as the Focus, but the ride quality is decent enough, even on the 17in wheels the SE L model comes fitted with. The smooth roads of the launch venue didn’t trouble it too much, but going off-piste and finding some rutted urban roads shows that it’s still a compliant car. The family side of things is boosted by the sheer practicality of the car. The wheelbase is 6cm longer than the Volkswagen T-Rocs, despite them both sharing the same MQB-A0 platform, which makes it easy to find extra space in the cabin. Six-footers can perch on each seat and feel comfortable enough, with loads of legroom in the rear and enough head and elbow room for all. The centre seat isn’t ideal for adults thanks to a hump in the bench, but it’ll do for a short journey. There’s no complaints about the boot. 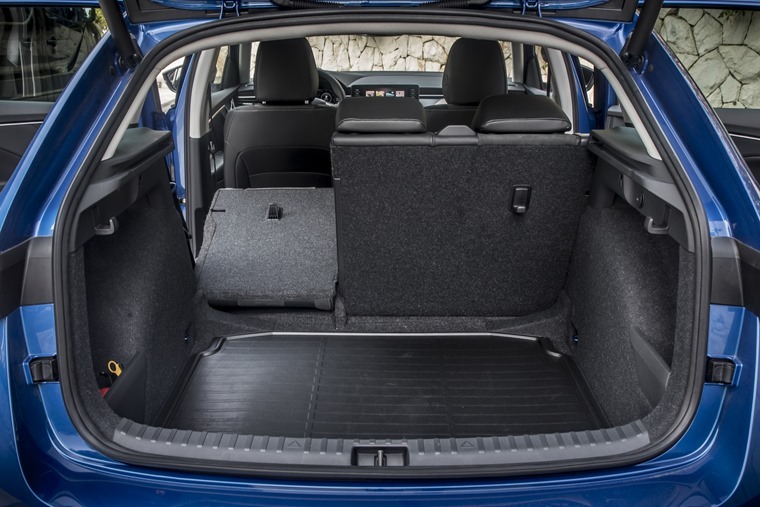 It’s deep and wide, and can take a huge 467 litres of luggage with the seats up and parcel shelf in place - that’s around 23% more room than a Ford Focus can take. Fold the seats down and, while it’s not quite van-like, it extends to take an impressive 1,410 litres. Optionally, you can even fold the front passenger seat flat to create a clear space that’ll handle longer loads. Engine options are predictable, with the 1.0-litre 115hp petrol unit expected to take most sales. 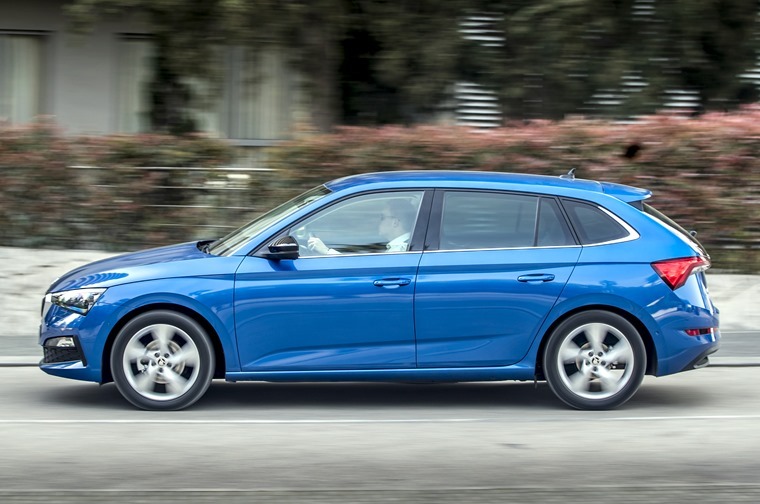 It’s quick enough under most circumstances, and remains reasonably refined unless you’re really thrashing it, while managing to return around 40mpg during our road test. Higher mileage drivers might like the 1.6-litre diesel which is more frugal than the petrol, and develops the same 115hp, but it’s an entirely different character that’ll make motorway runs easy and economical. Those after a sportier ride will appreciate the 1.5-litre engine and its 150hp, but the real-world difference isn’t that marked. Residual values should also be pretty strong, at least by c-segment hatchback standards, which should keep leasing costs down. Even without that the list price starts at just £16,595, meaning it’ll be cheaper than most of its rivals. 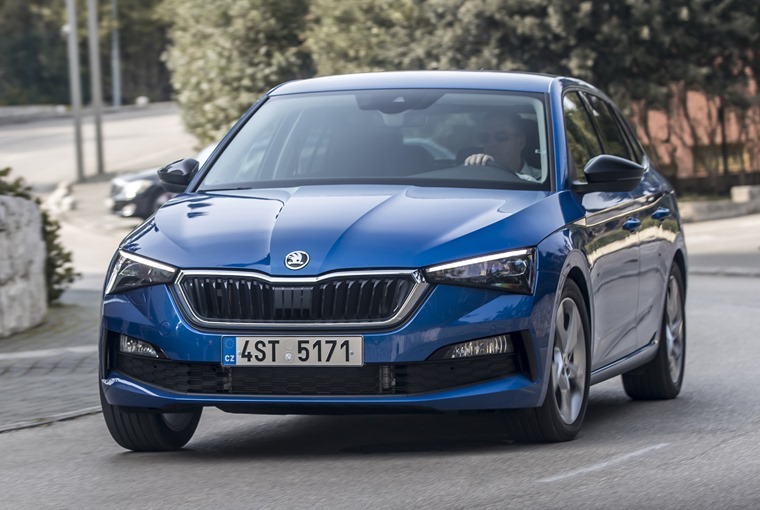 In fact it does a lot of things measurably better than its rivals, which explains why Skoda has a new confidence, and why it’s proud to shout its own name in chrome letters.